If you are more of a solo traveler, then gift yourself with this iconic caricature photo frame which features your special moment on a parachute. It_s an achievement for you and what better way than treasure it by making a hilarious cartoon image out of it! As you can see, the portrait beautifully depict the excitement and fun of enjoying an adventure sport. You can see the blue sky and clouds make the situation gorgeous and clearly show how much fun skydiving can be. This guy is happily looking to land on the ground after a thrilling dive from the plane. We all have a friend or cousin who always stays ready for trying the adventure sports. 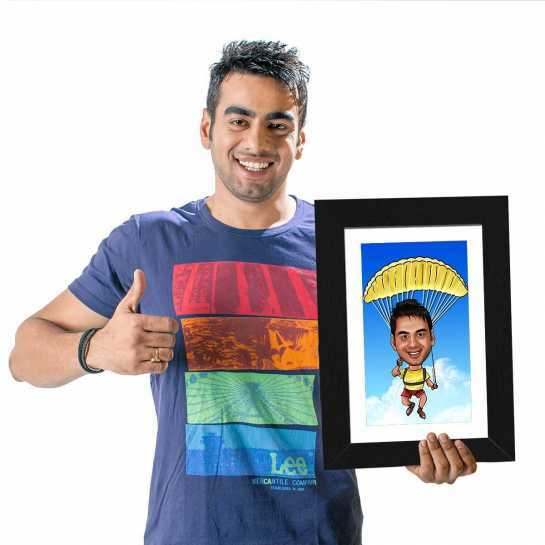 So, what about gifting them a funny, yet exciting caricature on the upcoming birthday. It will allow them to know that you care about his likings and gifted something as per that. It will turn out to be a great boost for your relationship in the end. 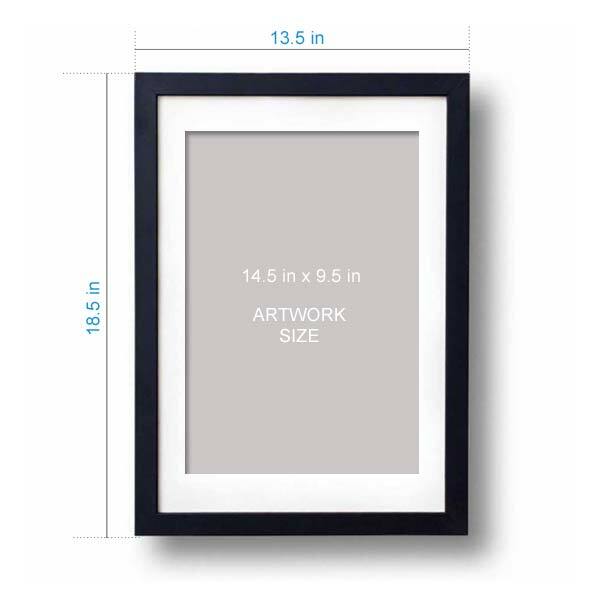 This photo frame will look extraordinary in your house if you want something to gift yourselves. There is nothing bad in caring for yourselves and do something that loved by you.